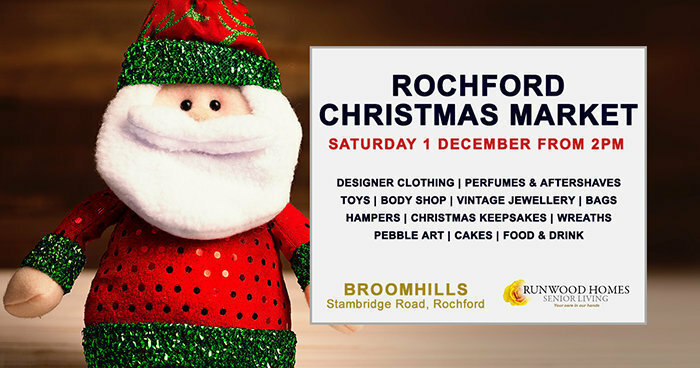 Broomhills residential care home in Mill Lane, Stambridge Road, Rochford, are hosting a Christmas Market on Saturday 1 December from 2pm, and we hope you can pop along! JOIN US FOR SOME AMAZING CHRISTMAS GIFTS AT MEGA LOW PRICES! For more information, contact Nicola at Broomhills on 01702 542630 or email broomhills@runwoodhomes.co.uk. Broomhills is a beautiful residential setting in Rochford providing expert care for older people. Read more about Broomhills by clicking here.